In this article, I will be explaining how to receive stamps at Head Post Offices which is invoiced from Circle Postal Depot (CSD). As I have explained in the previous article, the Head Office will create a Purchase Order Number. Based on this number CSD will send stamps to your office. 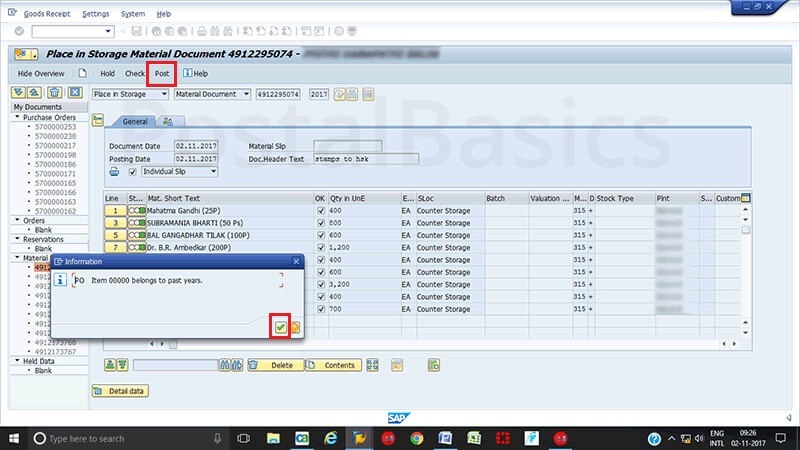 Let’s see how to receive these physical stamps in SAP module. How to receive the stamp in CSI office from CSD? 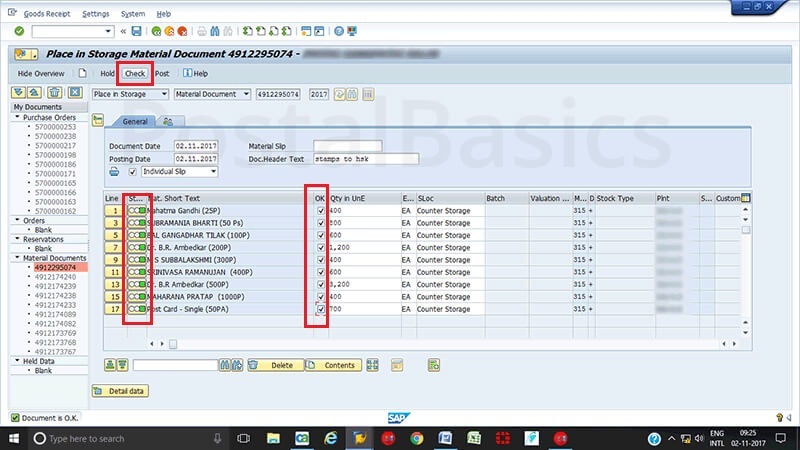 Enter the Purchase order number which is generated during indenting. Enter the delivery date in Delivery Note field. After entering the Document Number, hit ENTER button. The invoiced stamps and quantity details will appear as shown in the below image. Tick all the checkbox and click on Check button for correctness. Make sure all the items get highlighted in green color. As shown in the figure. Now click on Post. Below screenshot will be shown. For confirmation, type MB52 and check the stamp balance of your office. It should be increased by receiving stamp indent.